On a trip this summer to Italy, I had the great fortune to be able to paint with a great instructor, Joe Lombardo, from Columbus, OH. We painted in the Tuscan region of Italy and each day was very inspiring. One of the days was spent at a Ceramics school where we painted on site. At the end of the session, we were treated to a traditional Italian cocktail, the Aperol Spritz. Comprised of prosecco, Aperol (a bitter orange/rhubarb liquor) and soda water, it was the perfect ending to the session. 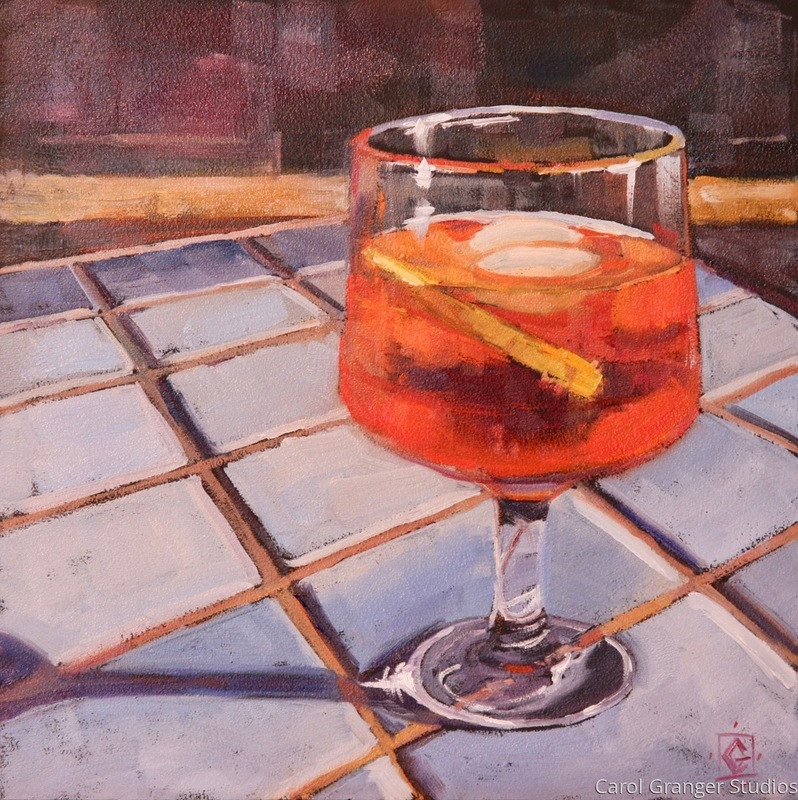 It's a very pretty drink and a great subject for this painting.